wacky | I'm not stalking you. This wacky specimen is located at the Tahquamenon Logging Museum in Newberry, Michigan. I had to take a picture of it because, well, look at it. I hope that is not what my beaver looks like when it gets stuffed. 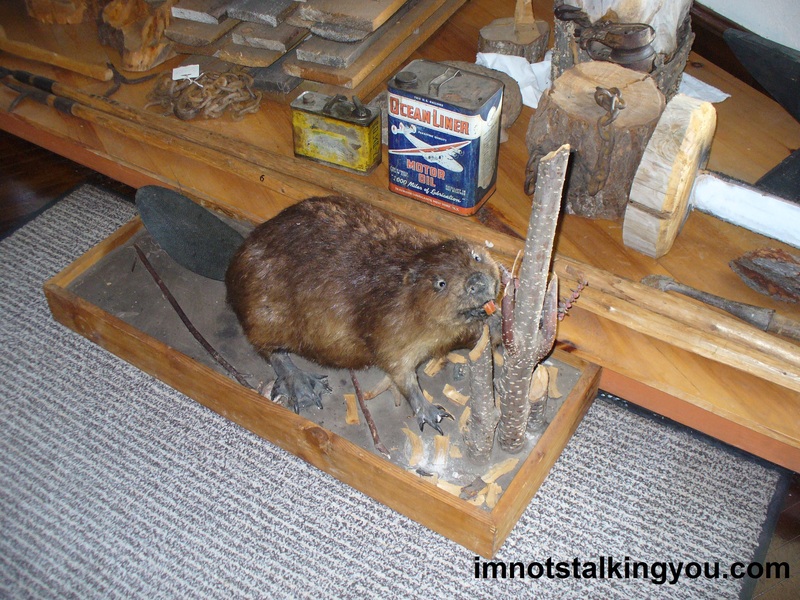 Posted in UnProfessional Photography & Artwork and tagged beaver, funny, history, humor, logging, Michigan, museum, Newberry, Tahquamenon, taxidermy, wacky. Bookmark the permalink.